You will love the ultra-convenience of this ground floor 2-bedroom, 2-bath villa in the family-friendly community Island Club! This peaceful complex offers 9 onsite tennis courts that are complimentary and available to reserve through the Island Club Tennis Center! Imagine dashing out your slider door and having your toes in the sugary sand in less than a minute! You are greeted with gorgeous wood flooring throughout the spacious and open floor plan. The light and bright kitchen has white appliances, quartz counters, and a fabulous back splash. The bamboo dining table seats 6 and flows to the coastal-inspired living room containing a large flat screen television. You can access your private balcony, overlooking the impeccably manicured grounds of this oceanfront complex, from the living room or master bedroom. You will enjoy the peaceful ocean views in the distance from the king master bedroom! Watch colorful skies from the privacy of your room. The guest bedroom is outfitted with one queen bed and one twin bed, sharing access to the full bathroom off the hall. Each renovated bathroom has a tub/shower combination, and each bedroom has a flat-screen TV. 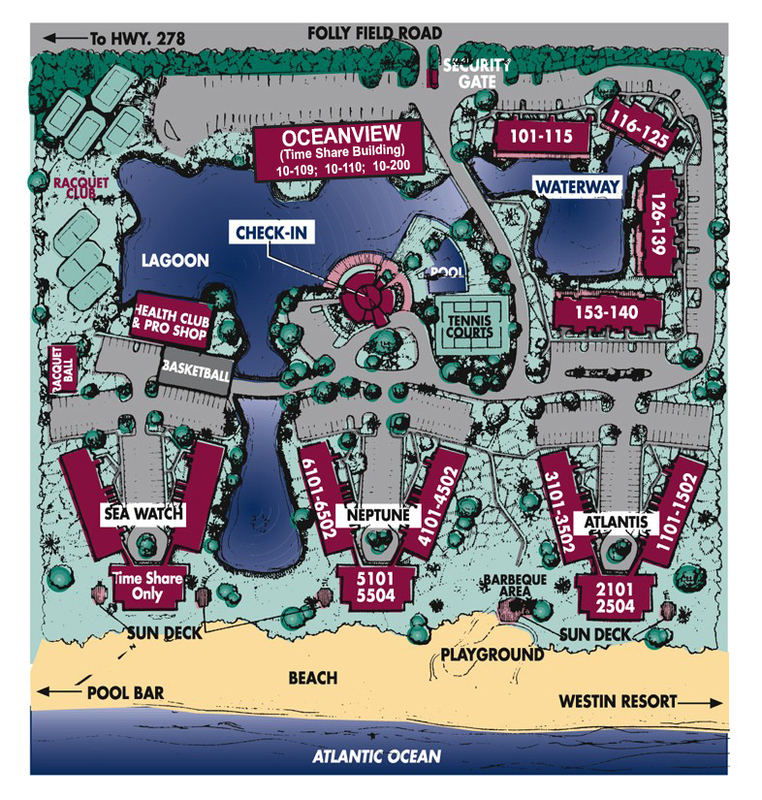 Island Club, located in the Folly Field area, invites you to some of the most pristine beaches on Hilton Head Island!